This wine is a true example of a slow wine (to pair slow food). All is done manual, of course viticulture is organic, there are no tricks whatsoever, for example no chaptalisation (adding sugar), only natural yeasts are used, and there is no battonage (stirring of the ageing wine). 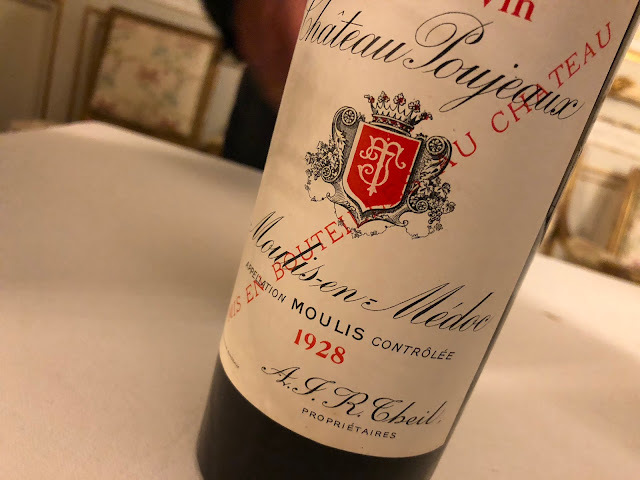 Thévenet has the luck to work with an exceptional terroir, and from his most exceptional vineyard (1 hectare), three or four times in every ten years he makes a quite un-Burgundian wine, one also that he may not call a Viré-Clessé − the wine is too a-typical. It is the super intense Cuvée Levroutée or, when the weather makes it possible, the Botrytis. 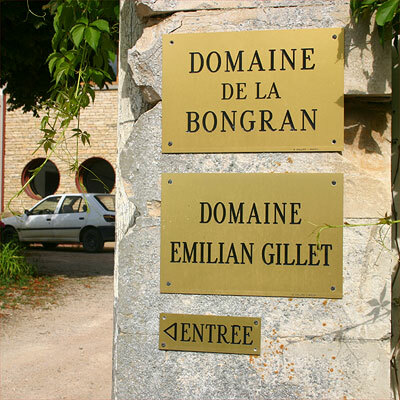 These wines − with the Cuvée Tradition − rank among the most beautiful wines I have tasted. Intense yet refined and refreshing, beautifully balanced and rich, just quite unbelievable. 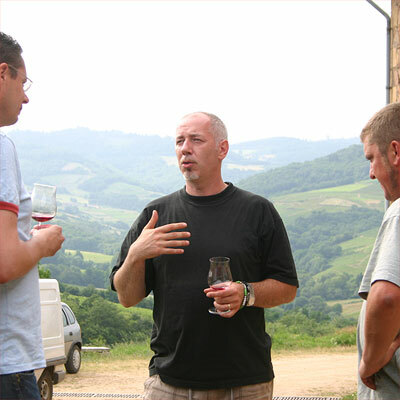 When I commented about the beauty of his wines, Gautier modestly reacted "we try". After − another − delicious lunch in Juliénas (a/o Pressé de pieds de veau en remoulade et condiments) we went to our second visit that 25th of July: Domaine de la Chèvre Bleue from Michèle and Gérard Kinsella. It is the family domain of Michèle; Gérard, who welcomed us, is English and a former computer expert. Now he's a winemaker, a passionate winemaker to be more precise. 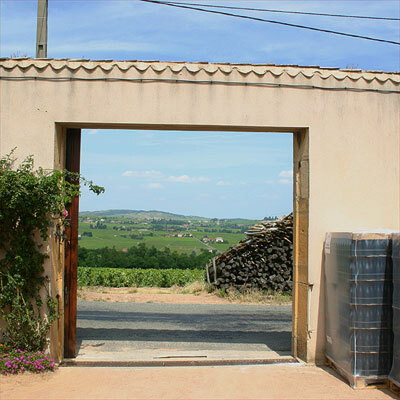 Blue Goat Wine is a small property, with uncomplicated and delightful whites (Pouilly-Fuissé and Mâcon) and reds (Beaujolais: Chénas and Moulin-en-Vent, the property is exactly on the border of these two appellations). A sympathetic wine, winery and winemaker in a very beautiful area, definitely worth a visit. 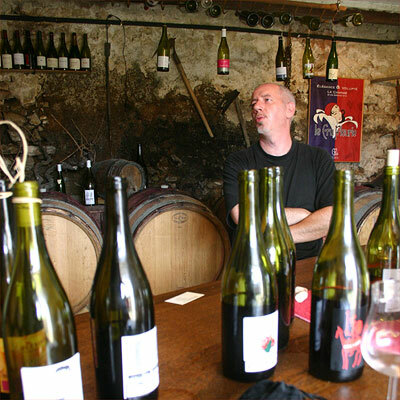 The last visit was at the Fleurie-based farmhouse of Nicolas Testard, where he and winemaker-négociant Cyril Alonso welcomed us. 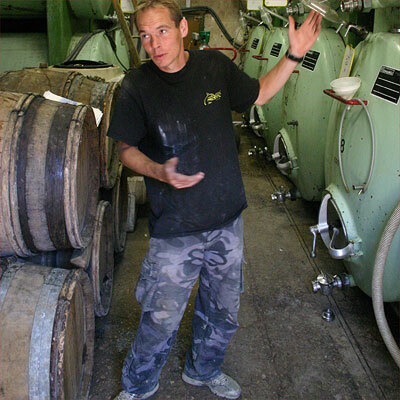 Cyril is a man with a firm belief of how to make and enjoy wine. He makes his wines on various domains, with various producers. Sometimes he is (more or less) working alone on a vat that he bought, sometimes he is working closely together with the person that actually harvested the berries. And that's the case also with Nicolas Testard. 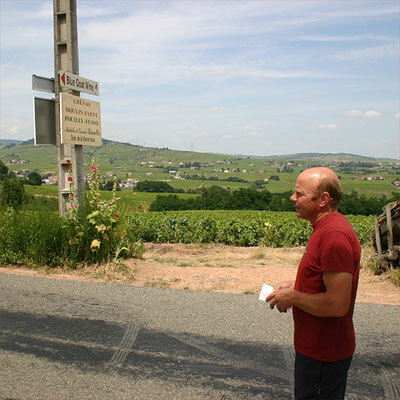 From all the natural, straightforward, no-nonsense, sometimes tough but always pure and very much made-for-drinking wines I kept coming back to the Beaujolais Villages "Porc tout gai" (2007). One of the simplest wines, but also hard to resist. Later, when we retasted all reds that I brought back from Burgundy, it was the Fleurie 2006 from Domaine des Rajats that presented itself exceptionally well. 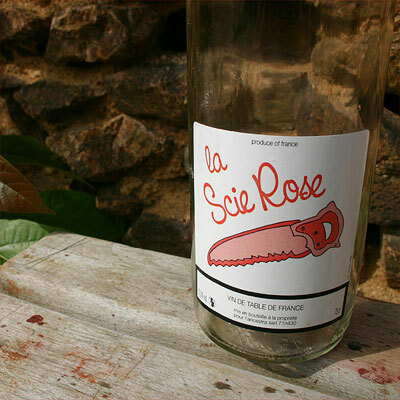 This wine, a co-production from Alonso and Testard, can simply be characterised as Bottled Pleasure − what a sensuous wine! Fuelled and fulfilled Jan and I left Fleurie to head back to Beaune. And there we discussed our impressions at L'Ecusson, with a Savigny-lès-Beaune 2005 1er cru "Aux Guettes" from Pavelot. A rather un-Alonso wine. Modern, seductive, supple and suave. Lovely, but other than the easy Porc tout gai, suffering a bit from the Law of Diminishing Returns. But maybe we were just tired after this long and inspiring day.